If you drive a vehicle on any public roadway in South Carolina you simply must buy automobile insurance. South Carolina has a system set up with the insurance companies so that it is informed the minute an insurance policy is canceled or lapses - and if that policy isn't replaced within 20 days the penalties for the registered owner of that vehicle can be severe. A much better way to beat the high cost of automobile insurance here in South Carolina is to find safe and legal ways to lower your monthly premium - and once we've done that, to get online and compare the price of your "super-low-priced-policy" on several of the automobile insurance price comparison websites. But before we start making "comparisons" online, let's try to create a low-priced policy that we can compare in order to really save some serious money. Let's start with you. Did you know that the way you drive affects the price you pay for your insurance more than any other single factor? If you have speeding tickets or any moving violations on your driving record you simply are not going to get the lowest cost automobile insurance available in South Carolina. If you have a DUI or a DWI on your record then you can kiss any chance for low cost automobile insurance good-bye for at least 3 years. Possibly longer. Keeping your car in a garage at night will save you money on your automobile insurance every month. Find ways to drive less. Many people are now using public transportation as their "second car" and leaving their vehicle parked as much as possible. If you can reduce your driving to below 500 miles per month you may be in for a rather nice Low Mileage Discount. If you are married sign the wife up as the primary driver and the husband as the secondary driver. Women pay less for automobile insurance and this trick will save both of you money. Don't bother your insurance company with small, unimportant claims. Save your insurance for major claims. The longer you go without filing a claim the less your insurance will cost you. Some companies begin handing out bonuses after only six months of accident-free driving - other companies may make you wait a year, but not filing claims often can save you money. Pay your premiums automatically from your bank account. Automatic payments save you money month after month. Driver's under 25 can save at least 5% a month simply by remaining in school and maintaining a "B" grade average or better. Drivers over 55 may get a 10% break on their insurance rates by passing a special driver's refresher course. Not all companies make this discount available so ask your agent if you can qualify. See if your place of employment or any clubs or organizations or groups that you belong to offer group car insurance. Group rates are almost always a savings over individual rates. Often adding an anti-theft device as simple as a steering wheel lock or an electronic device that shuts off your fuel pump until it receives a hidden command can save you big bucks each month on your car insurance. Ask your agent. Carpool to work. Driving your car back and forth to work less often will reduce your auto insurance rates. If you stop working and are no longer making the trip back and forth to work at all, be sure to let your agent know as this will lower your monthly premium. Can you afford to increase your deductible? Don't promise to pay more than you can afford, but the higher your deductible the lower your monthly automobile insurance payment. 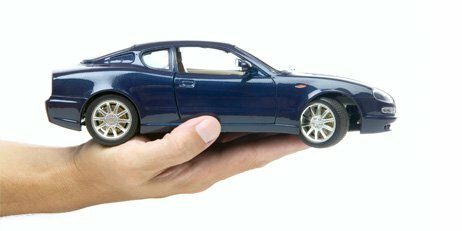 Finally, take what you've learned in this article and fill out the form on a minimum of 3 websites that make price comparisons of automobile insurance policies from different companies. The trick is to put the exact same information on the form on all three comparison websites so that you are comparing the same insurance policy on all sites. Then simply choose the lowest price from among all of the insurance companies operating in the state of South Carolina and you'll have found the best deal possible on automobile insurance. It's that simple.